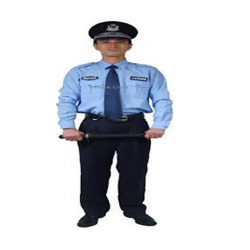 With the assistance of experienced and dedicated professionals, we manufacture, supply and export wide range of Body Protection Suit. Our entire product range is skin-friendly in nature and is delivered in varied fittings. Temperature (deg. Celsius) 1000 degree cel. 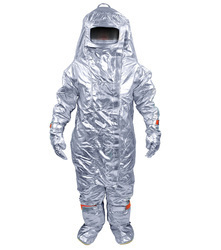 Aluminize fire proximity suit made from Aluminize fiber cloth. 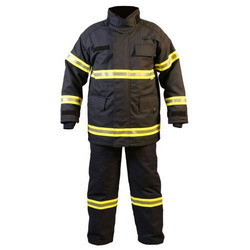 Being the reckoned names in the industry, we offer an exceptional range of Flame Retardant Suit that are durable in nature and are delivered in varied standard sizes. They are carried to protect the body against the fire accidents. We offer them in different standard sizes and colors. Our entire product range is quality approved and well-stetted before the final delivery. 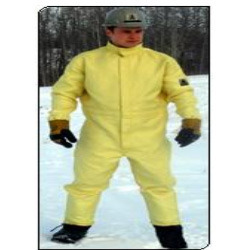 Quality being the prime concern, we offer wide array of PVC Suits that are acclaimed among the clients for smooth surface finishing and neat stitching. 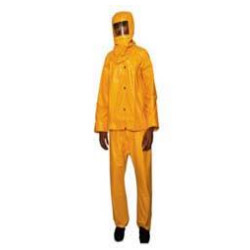 They protect the human body against the chemical splashes and are treasured for durable standards and excellent quality. Furthermore, we offer them at most affordable rates. 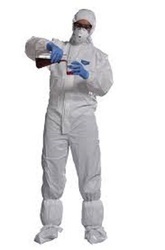 Boiler suit made of cotton cloth/polyester cloth. 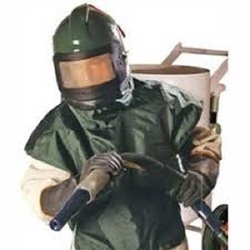 In order to cater diverse requirements of the clients, we offer an extensive range of Asbestos Suit that finds wide application in industrial sector. 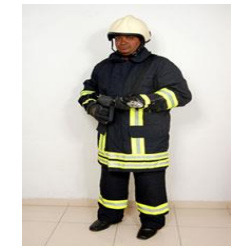 Our products are used to protect the body from fire and are delivered in standard sizes. They are quality tested on varied parameters thereby ensuring its safe usage. Moreover, we offer them at most affordable rates.